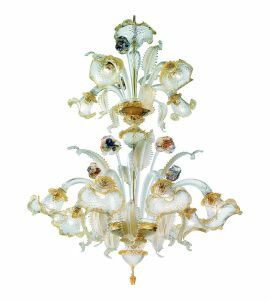 Also known as "Grand Chandeliers", these luxurious Italian Glass artworks have more than 12 lights providing illumination and leaving a strong impression on everyone viewing them. 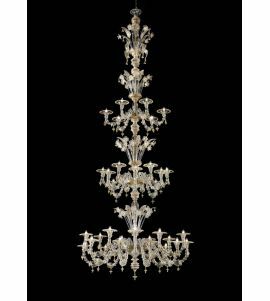 As they are vertical and multi-tiered (they have several "stages") they are perfect for rooms with high ceilings. 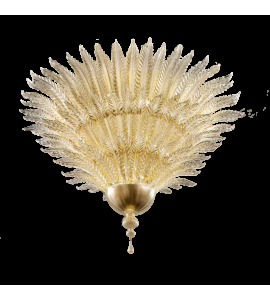 On request we can perform custom chandeliers, created based on customer requirements for hotels, halls, special projects, ships, airports, homes and private villas. Hotel lobbies, Foyers, Theatres, Concert halls and Ballrooms are just some of the spaces perfectly suited for an impressive Grand Chandelier.